Richmond City Baseball president John Braaten is keen to see more local youth enjoying the great game. Every successful venture starts with a solid foundation, one built on basics. It’s an approach Richmond City Baseball has adopted, following a model that has long been a staple in a game known for its traditions. But Richmond City Baseball has also been open to thinking outside the box exploring opportunities that further both player development and fun. 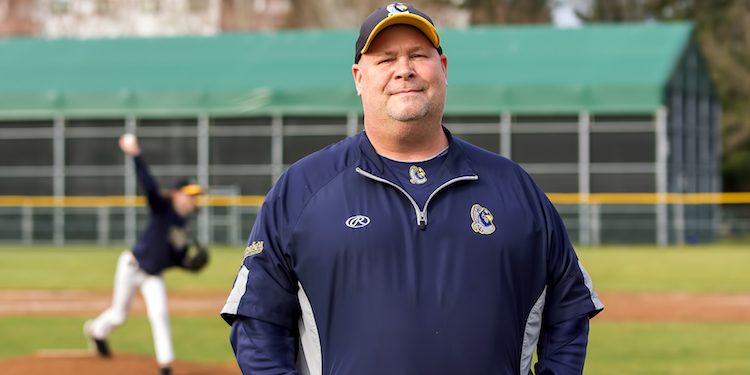 “RCBA continues to focus on our grassroots programming model, ever developing and modifying to ensure maximum youth participation and development,” explains Richmond City Baseball president John Braaten. The association, which has an exciting schedule planned for the 2019 campaign (the College Prep program kicked things off by holding ‘spring training’ in Mazatlan), has reconstructed its practice model. Instead of individual coach and team practices, David van Ostrand is overseeing multiple team practices. “We also have a new mentoring volunteering program to aid with this, featuring players from our College Prep, 18U AAA and 15U AAA players working in conjunction with our 11U and under division practices and skills sessions as a form of giving back while earning volunteer hours needed in school,” says Braaten. Optimism is high for the College Prep team, under the guidance of longtime manager Raul Verde Rios, to enjoy another successful season. This will be Verde Rios’ last year leading the program, which began with a five-game exhibition and many cultural experiences in Mexico. With the official opening day set for 11 a.m. Saturday, April 6 at the fields adjacent to Palmer Secondary School, about 500 players are set to enjoy the great game of baseball. Mayor Malcolm Brodie will throw out the traditional first pitch, joined by several city councillors. “We continue (for the third year) to provide free baseball programming in conjunction with Richmond Girls Softball (full Kindergarten to Grade 7 physical education week-long classes) in elementary schools, which promotes our sports—maybe to those who may never have had the opportunity,” he says.